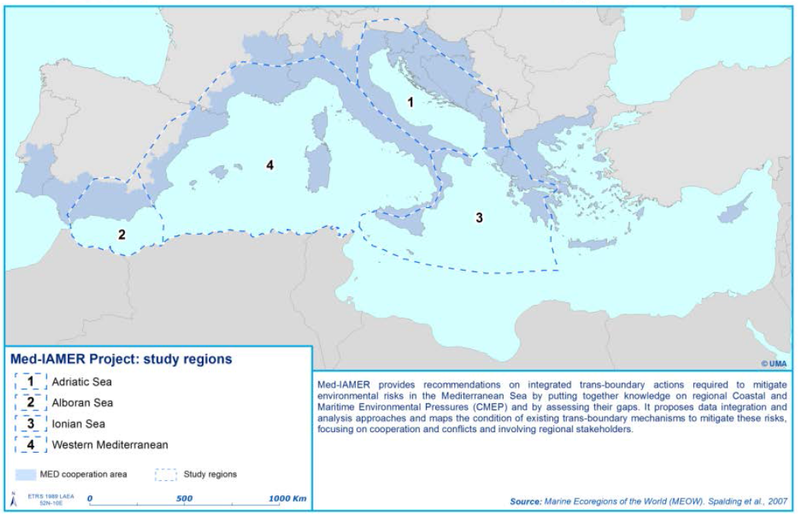 Med-IAMER was the first maritime project of the MED Programme to apply the strategic goals of the ecosystem-based approach, as introduced and adopted in the Mediterranean region, at the transboundary level. The main aim of the project was to provide recommendations in terms of transnational integrated actions (resulting in a coordinated and integrated evaluation of research on the state of the environment in the Mediterranean) needed to mitigate environmental risks in the Mediterranean Sea. The project produced methodological tools to structure abundant but not readily accessible spatial information, highlighted data gaps, and identified the most vulnerable hotspots and their associated environmental pressures, while linking them to regional cooperation instruments. It ran through three different phases shared out among five interconnected work packages: a knowledge gathering phase (literature and data review on main drivers and pressures), a validation phase (based on stakeholder and experts involvement) and a policy mapping phase identifying the most relevant legal and policy frameworks in the Mediterranean that can contribute to reducing environmental pressures. The study area includes two ecoregions: i) the Western Mediterranean and the Alboran Sea, and ii) the Adriatic-Ionian ecoregion, including both EU and non-EU countries. 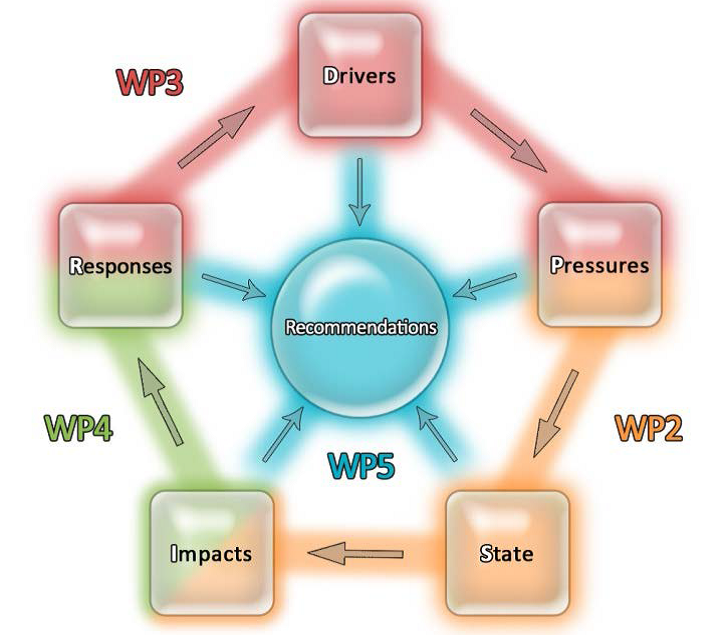 The DPSIR methodological framework was used to connect the effects of socio-economic uses (referred to as ‘drivers') to the ‘pressures’ exerted on the condition (or ‘state’) of coastal and marine ecosystems.